Conservation Districts work with communities to help reduce erosion, address stormwater and flooding concerns, and partner to replace undersized culverts. We can help your town connect to resources to get started. 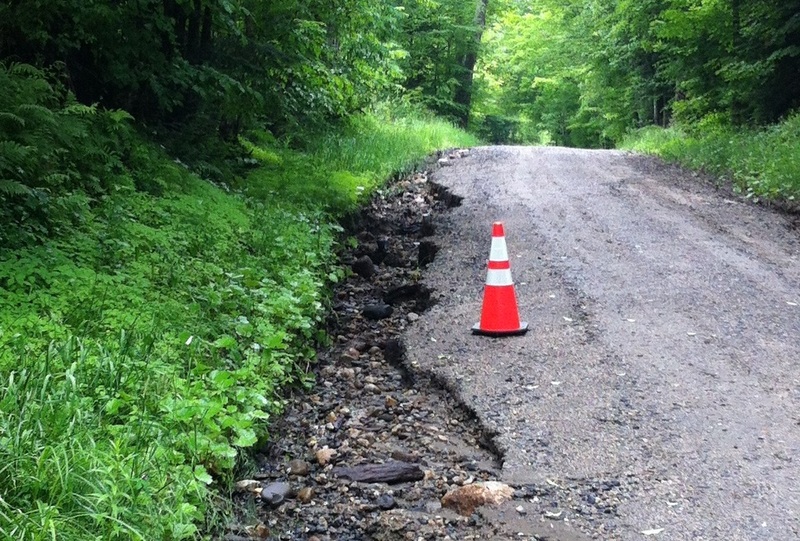 Need to reduce road erosion in your town? This VTrans program offers financial support to towns to address road related erosion problems (undersized culverts, inadequate ditches, etc.). The program has two stages – Category A supporting inventory and capital budget planning, and Category B supporting project implementation. For more information click here. Need training to reduce erosion in your town? ALL TOWNS HAVE FLOOD HAZARDS. 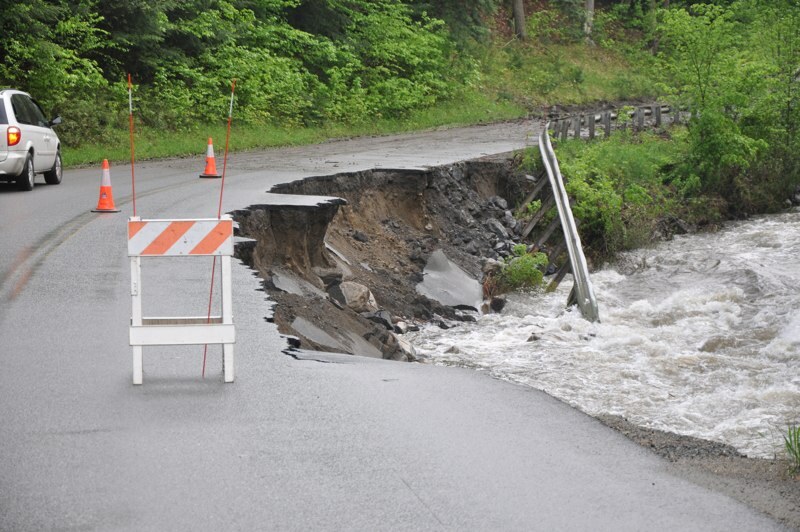 There is no town in Vermont that is safe from flooding. 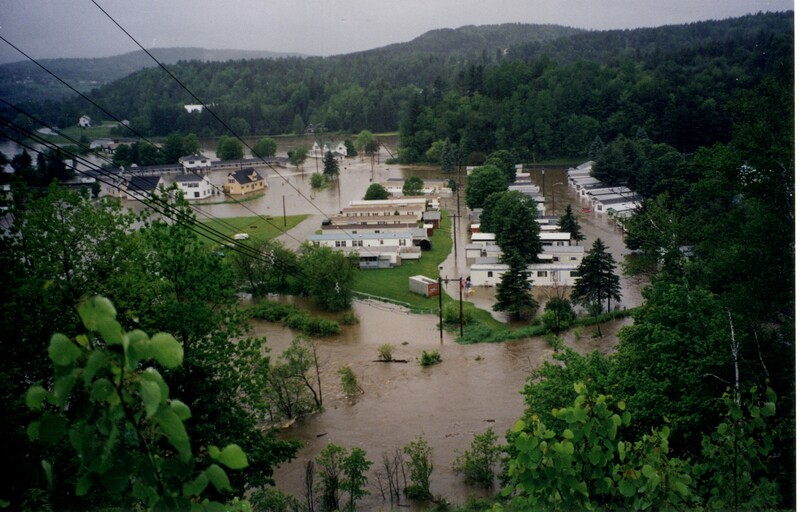 You might be safe from large scale inundation (as pictured in Lyndon in 2002), but every town is at risk from the erosive power of a flooded stream. The Conservation District and other entities offer the coordination of Stream Geomorphic Assessments in your town, to better understand the physical conditions, adjustment patterns and health of your streams and rivers. These studies also help inform River Corridor Mapping so communities can understand the full extent of their flood risks. For more information, visit the VT Department of Environmental Conservation’s Rivers Program here, or contact the Conservation District for more information. Many towns utilize flood maps from FEMA to delineate floodplain boundaries in your town. While these maps are a good tool, they do not show the full extent of flood risks. FEMA maps show areas prone to flood inundation, but often the more damaging and dangerous impact of a flood event is erosion resulting from a surge in stream power during a storm. River Corridor mapping is an excellent planning tool for towns that maps the full extent of flood risks and identifies areas that are particularly vulnerable to erosion hazards. Click here for more information on Corridor Planning, or call us!